I had mentioned a couple weeks ago that I was experimenting with photographing cards in my new light tent. I can honestly say that I’ve been very pleased with the results. The cards retain some of that “sparkle” and luminance that they lose on the scanner bed. Not all of it, but enough that I feel like it’s a more accurate representation of the card, and more interesting to look at. Just showing off a couple recent pickups that turned out well. Click to enlarge. They look way better enlarged. 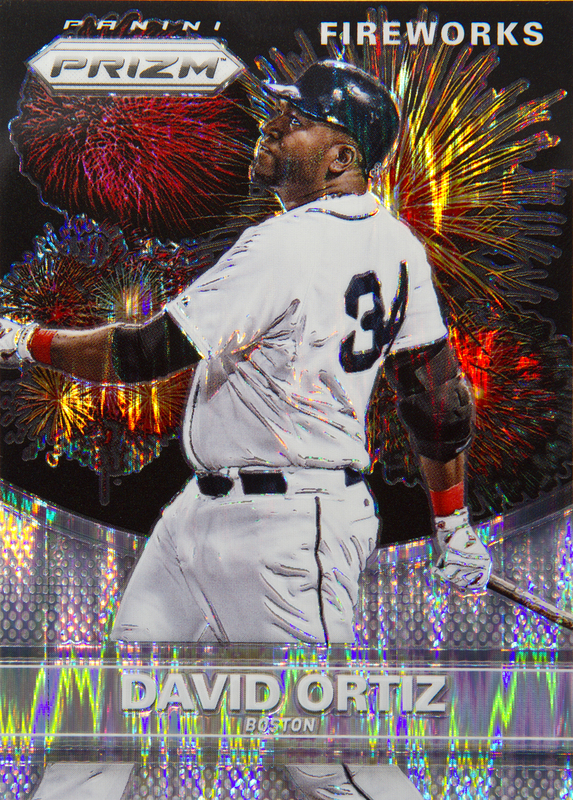 Now that is a shiny baseball card. 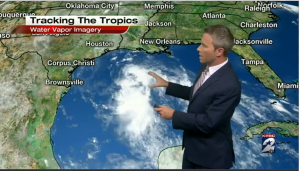 Nothing quite like hurricane season in Texas. This will be a fun work week. I haven’t really live blogged anything in a while, and E3 is a great excuse. Microsoft’s press conference is about to start. A week or two ago it was time for the annual Tristar Collectors Show in Houston. I never really go with a ton of cash, so I don’t make any huge purchases, but I do enjoy just thumbing through dime boxes for a couple hours. Truth be told, this year I think I ended up buying more supplies (about $40 worth of mag-holders) than I did cards. I think all together I spent about $35-40, including two completely overpriced cards I’ll mention in a minute. I also ran into the now “Beckett famous” Tanner from “6,000,000 cards and counting” as I was walking in. I complemented him on his epic mustache and told him how I had enjoyed seeing the custom cards he had been creating over the time I had been reading his blog. He said thanks and I apologized for being some sort of random creepy “guy from the internet” and left him alone. In case you missed the last post, I railed on a Nolan Ryan card in Gypsy Queen for being, well, completely terrible. Lest I be accused of starting trouble and not offering solutions, here you go. What should have been. 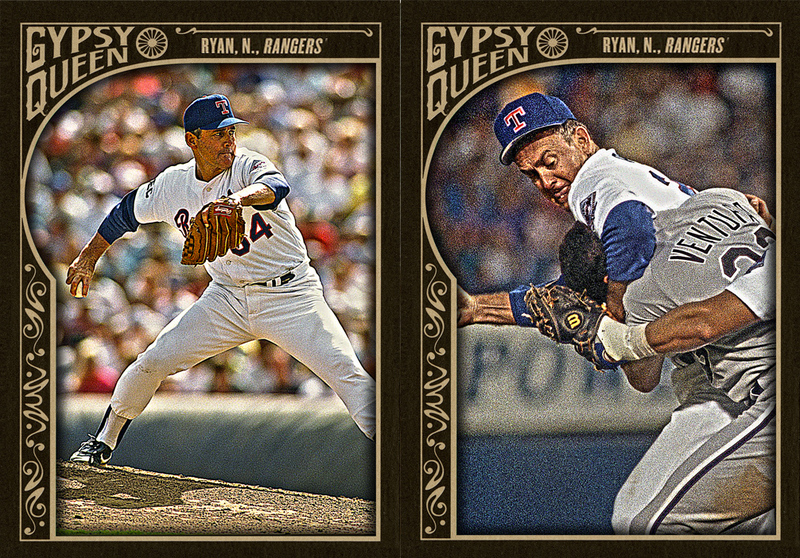 Nolan Ryan’s Gypsy Queen card, and bonus photo variation. Ha.